In an advanced Industry 4.0 or IoT architecture, there is a constant need to move data to an approved third party. Customers, suppliers, analysts, engineers and regulatory authorities need operational data regularly. 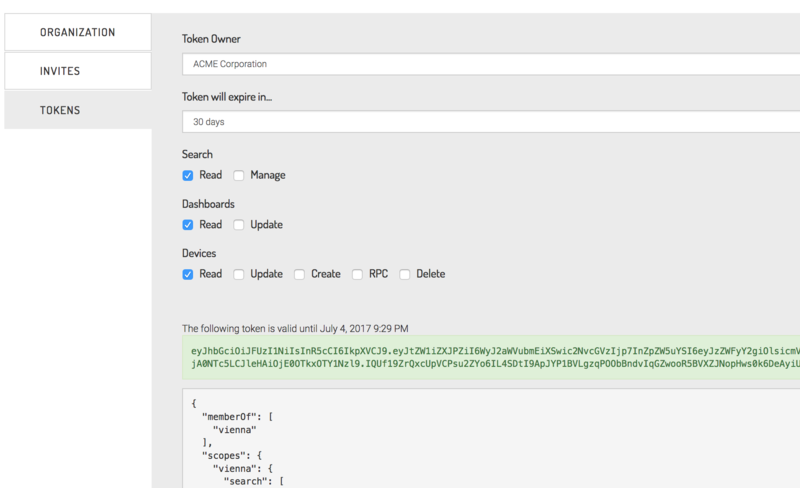 By creating APIs, with security tokens, you can now control your data movements closely and grant third parties simple access. API security tokens need to have well designed security features and be in hands of the asset owner for approving and revoking. These tokens are specified against individuals or companies, usually for a set time period. This enables regular review of all APIs in ones organisations. The token can be specified to read or write various segments of the data cloud. Advanced security features are available for more critical environments. As most companies now have proprietary data analytical and processing capabilities in-house, we need to feed data into their ERP and data systems to get value. API’s enable third parties to specify the structure and frequency of these data exchanges. To access secure API tokens on the Ardexa App, simply go to the Click ADMIN and then USERS. Here you can browse to the TOKEN menu to view existing tokens and create new ones. Token control has never been easier.